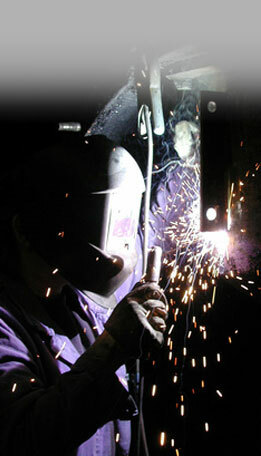 Welcome to Response Welding Inc., your number one source for complete welding services. Founded in 1985 by Mr. Robert Shepherd, the company has come a long way from its beginnings. The family owned business began with one small facility in Clinton Twp., Michigan and quickly built a solid reputation as a full service welding shop with capabilities that included Tool & Die, GTAW (Tig), and Wire Fed GMAW (Mig). Superior quality, an unsurpassed knowledge of the tools, materials, and processes, on-time delivery, and competitive pricing all contributed to the rapid growth of the company. In a few short years the company opened a second facility in Troy, MI and a third one in Mt. Clemens. By operating responsibly, executing with excellence, and capturing new opportunities for profitable growth in the welding industry, the company consolidated and moved to its current 13,000 sq. ft. facility in Sterling Heights, MI. We will apply all of our resources and technical competence to meet the immediate welding needs of our customers. The performance and quality of our services, on time delivery and customer satisfaction will continue to be the core values of our business. Today, although we remain a family owned business, Response is now an approved source for many automotive OEMs and Tier One contractors throughout the United States and Canada. We have expanded our current capabilities to include ultra precise micro welding, fabricating and assembly. In addition, Response is certified to multiple AWS standards for many military, defense, and aerospace applications. To develop long-term partnerships with our all of our customers. To identify those areas in which our company must outperform the competition in order to succeed. To continuously improve on our technological leadership in the welding industry.